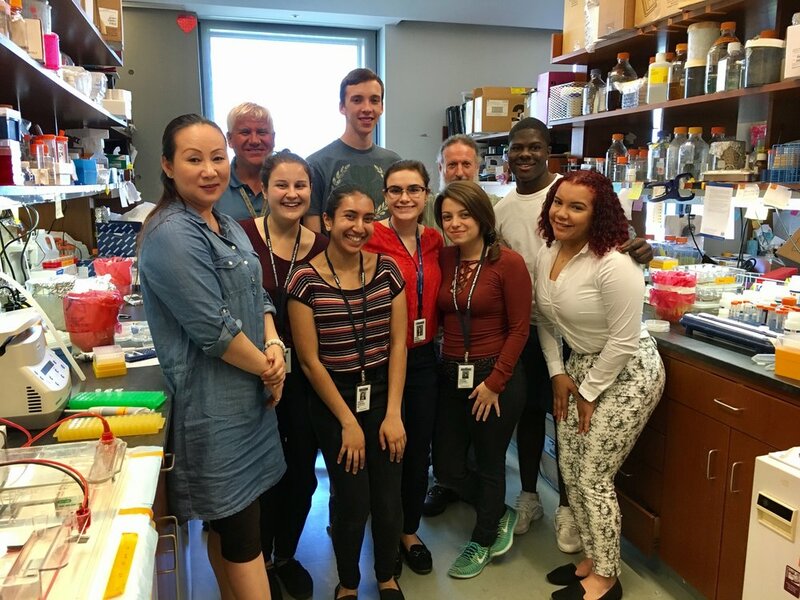 Every Summer the Jacobs lab invites a select number of high school students from the city and surrounding areas to participate in an 8-week long intensive, where students will isolate, name, and sequence their very own phage. They will learn the basis of mycobacterial genetics and the usage of mycobacteriophages in the fight against the pathogen, Mycobacterium tuberculosis. As an extension of the work I did last year, I am doing a microarray on the difference between wild-type M. smegmatis and M. smegmatis with an addition of Methylglyoxal (MG). i am studying the differce between Smeg metabolism with MG at different points in its life cycle/ growth curve. Hopefully this will lead to information on the different proteins/pathways of m. Smegmatis when it has come in contact with an excess amount of MG.
Methylglyoxal is a toxic metabolite that is created within all bacteria as a defensive mechanism against carbon metabolic imbalance. If we can take advantage of this natural process, we can create a therapeutic agent against tuberculosis. However, we first have to understand the metabolism of methylglyoxal, which I am doing through transposons and suppresor mutants. I have a transposon library and have isolated 15 suppressor mutants. My work currently focuses on using genetic manipulation tools to develop mutations in M. tuberculosis by using temperature sensitive conditionally replicating transducing mycobacteriophages. We are targeting ABC transporters as a means to develop multiple non-revertible mutations in TB as possible candidates for a live attenuated vaccine for tuberculosis. Our projects consists creating Herpes Simplex Virus mutants. We will create mutants of then surface glycoproteins found within the envelop of the the Herpes Virus to get a better understanding of them and how they function. The mutants will be tested on dentritic cells, which are immune cells which cannot function properly after infection of the virus. The mutants will give us pathway to also finding a possible vaccine for Herpes.